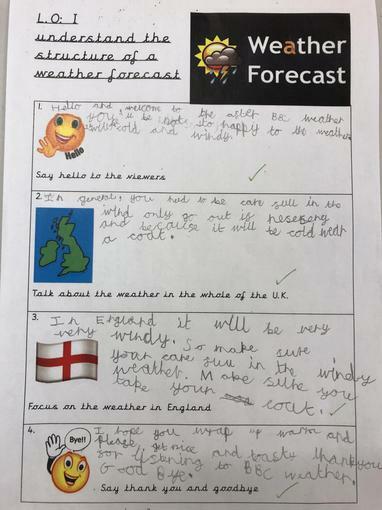 Keep watching our class page as we will be filling it with exciting class news, photographs and clips of things we’ve done during our lessons! 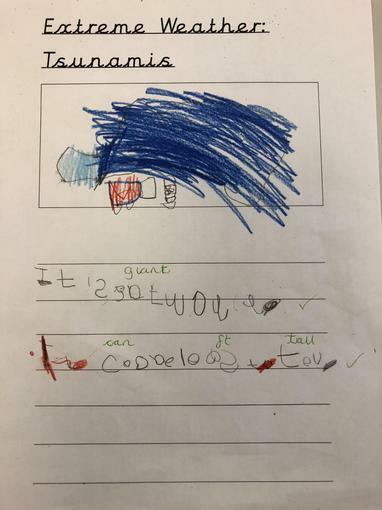 What a lovely meal the "Let's Get Cooking Gang" created for the future Mr.& Mrs.Blackwell! 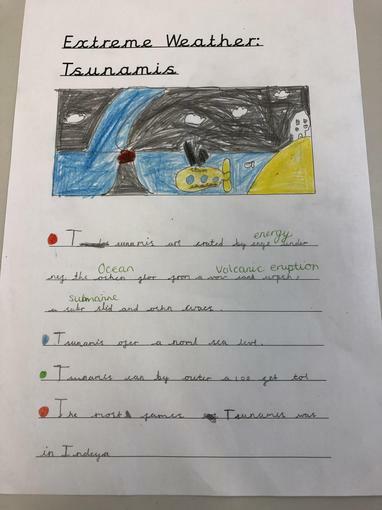 The newsletter for Term 4 has been added to the website and this will give you some information on work and objectives that are to be focused on during this current school term. 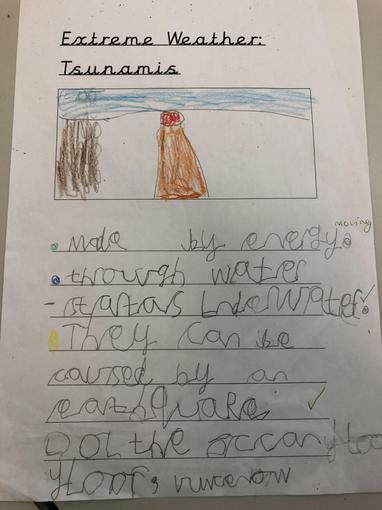 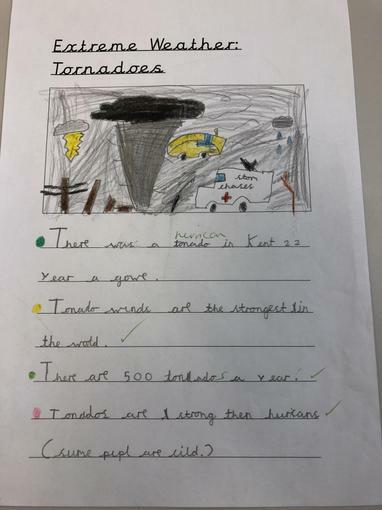 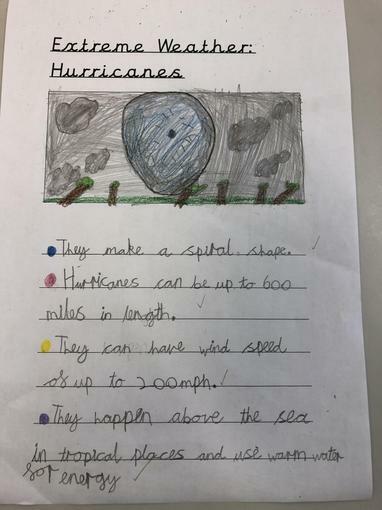 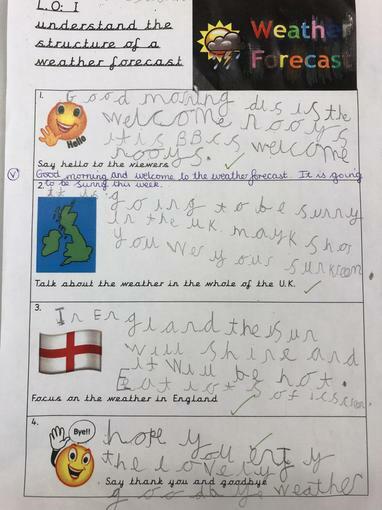 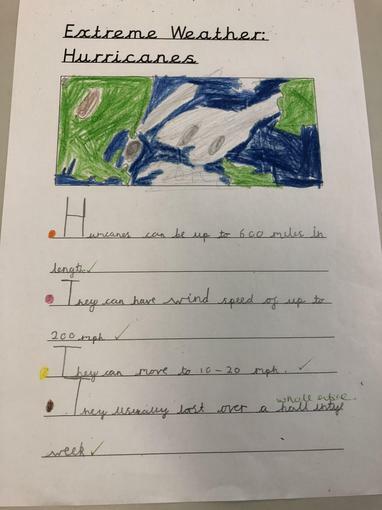 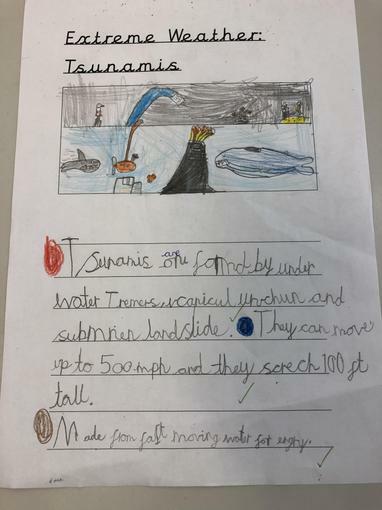 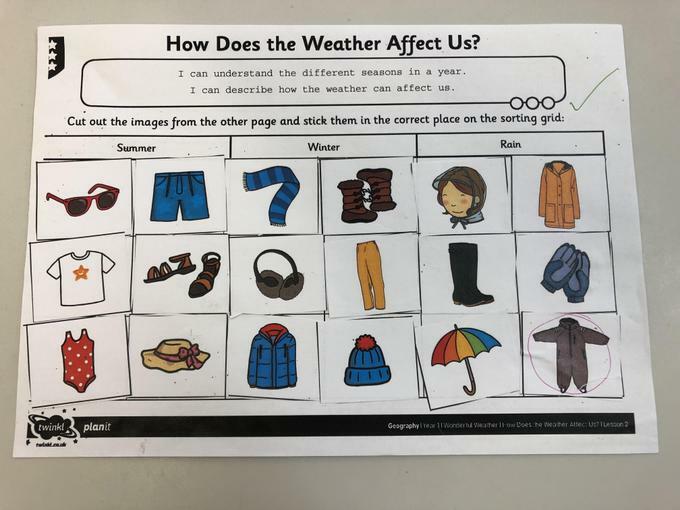 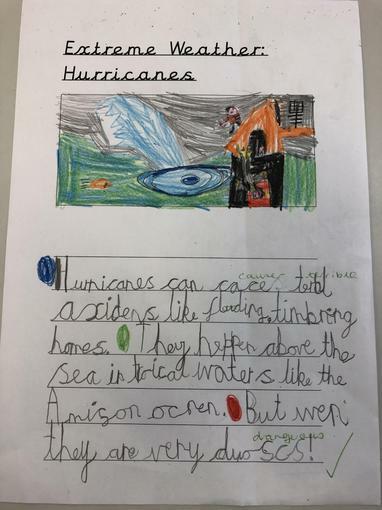 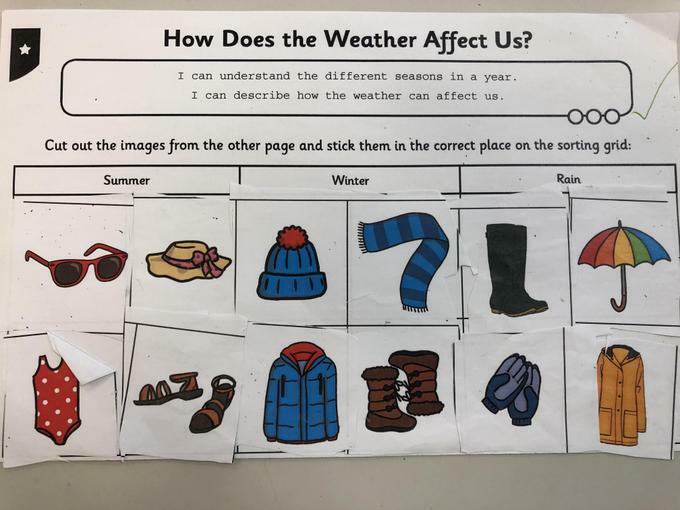 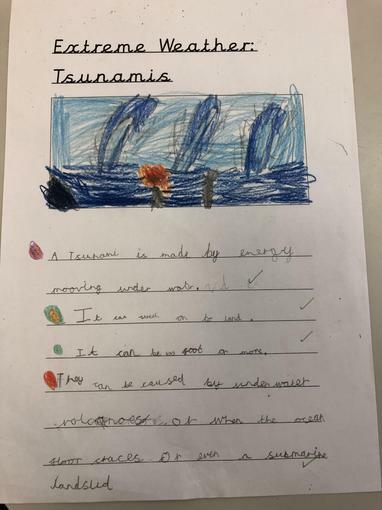 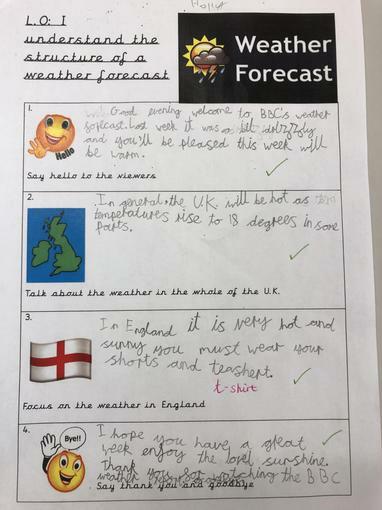 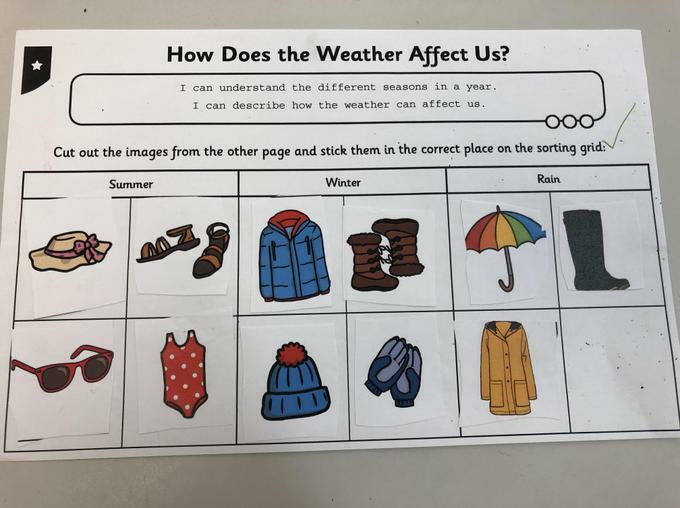 The Hedgehog class have been working very hard on our current weather geography topic, here are a few examples of their work! 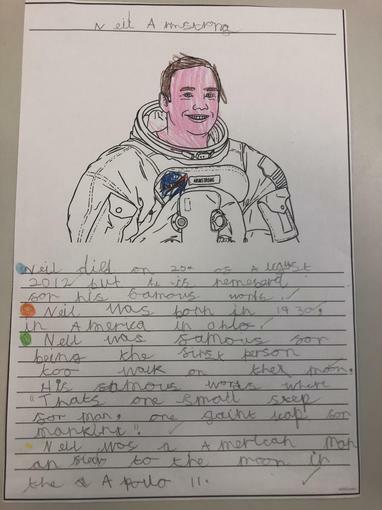 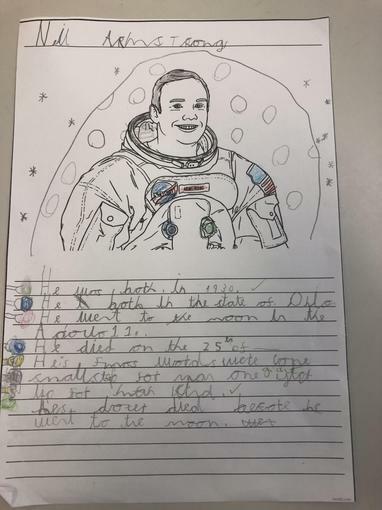 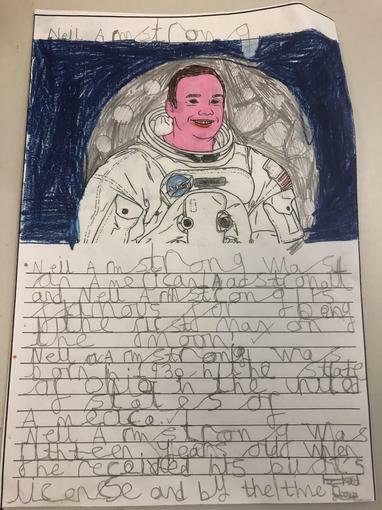 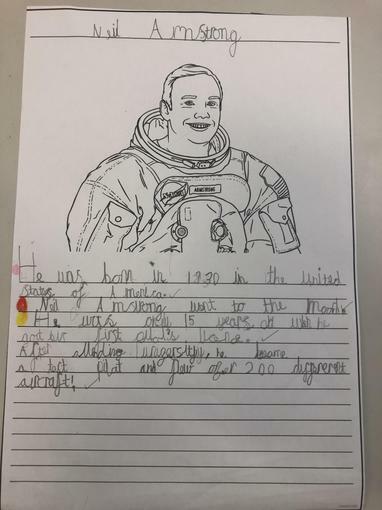 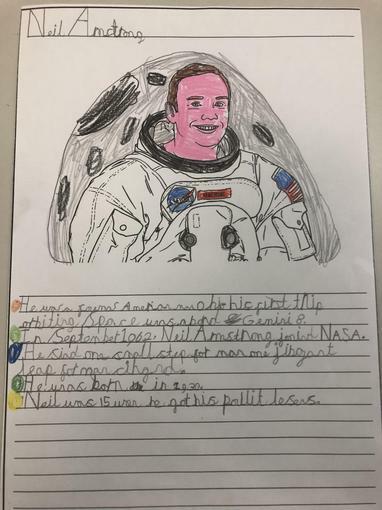 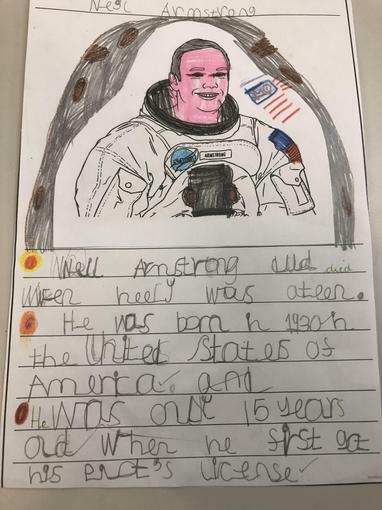 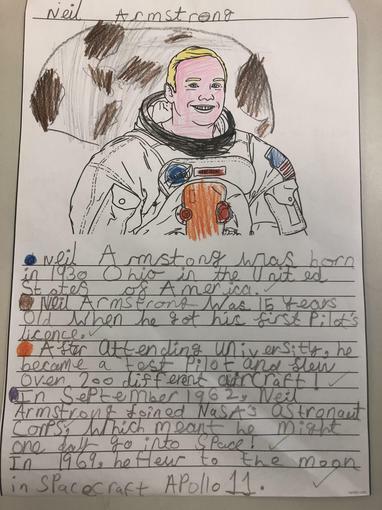 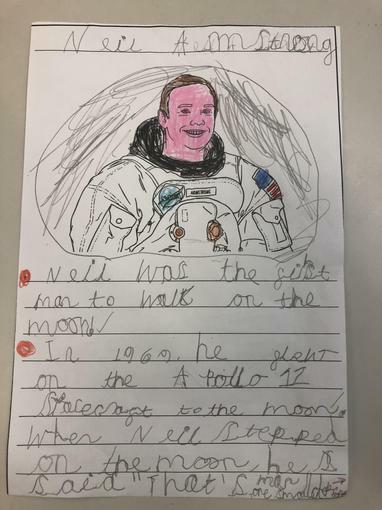 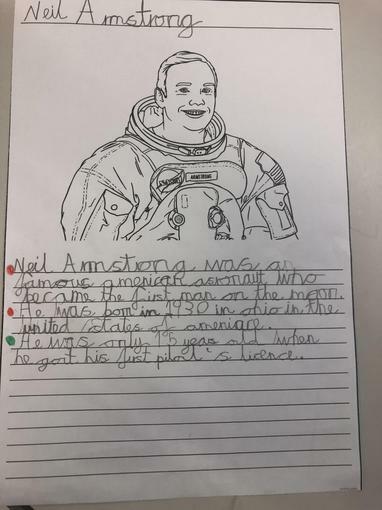 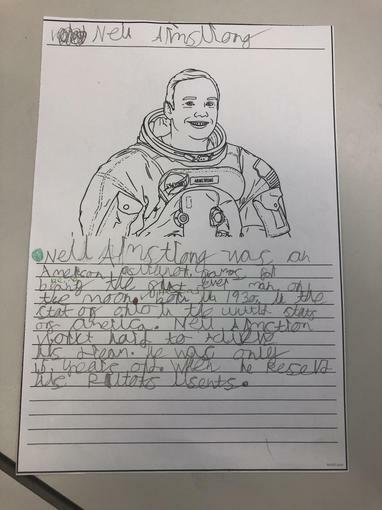 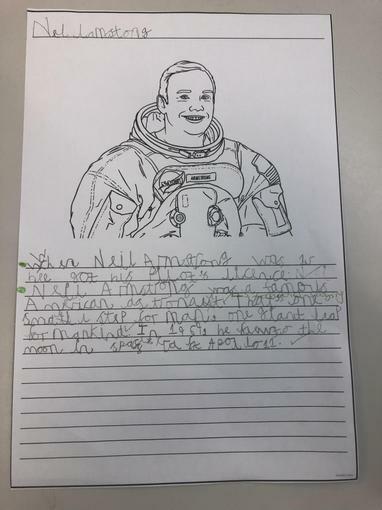 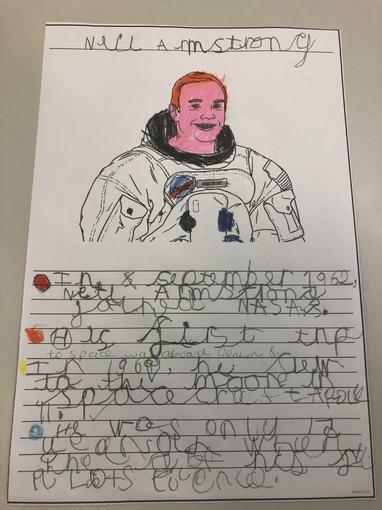 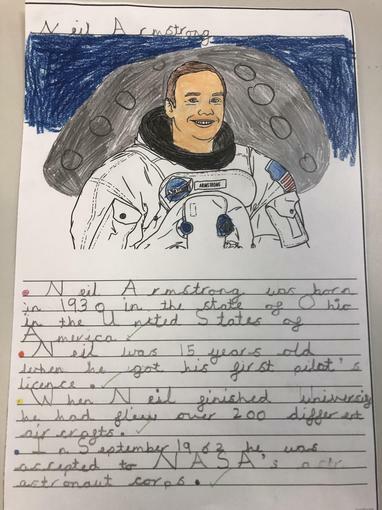 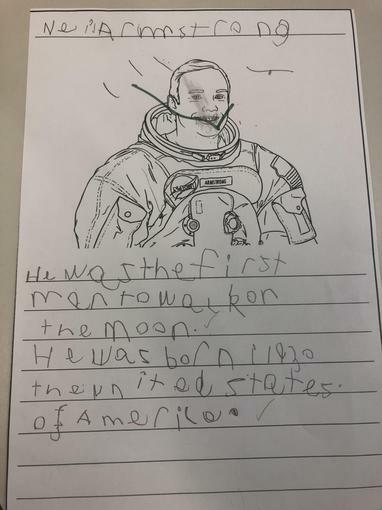 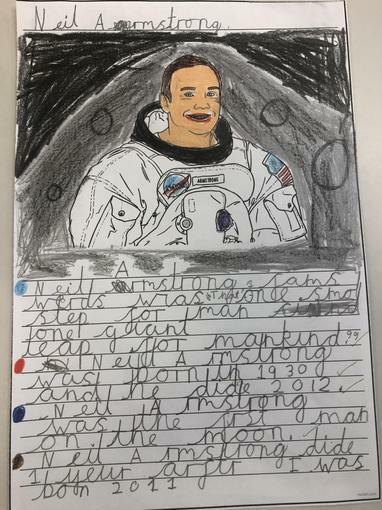 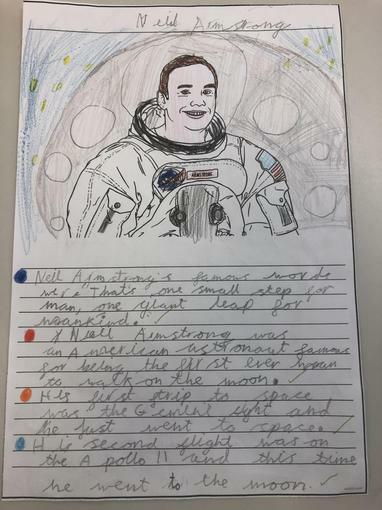 This week we have spent some time researching all about Neil Armstrong, we created some really good fact files! 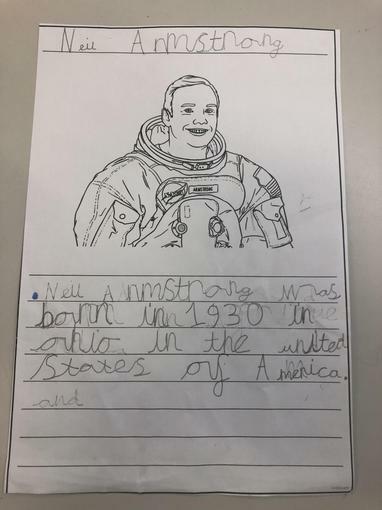 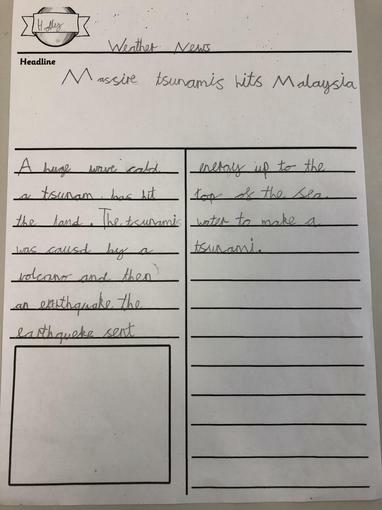 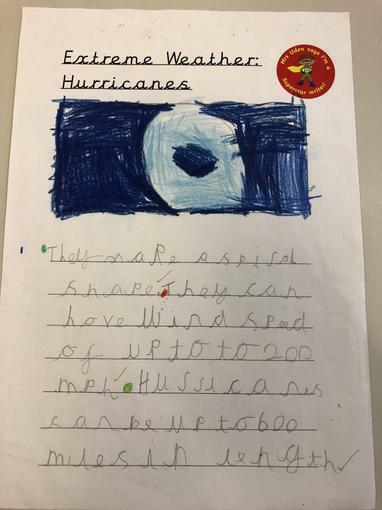 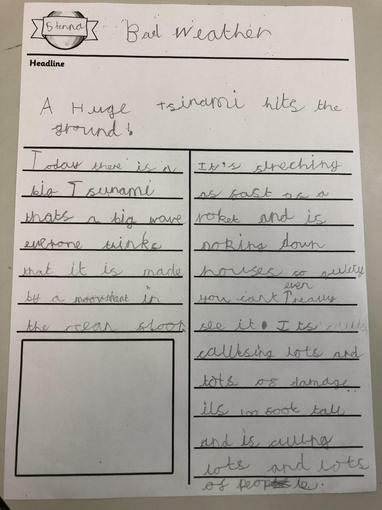 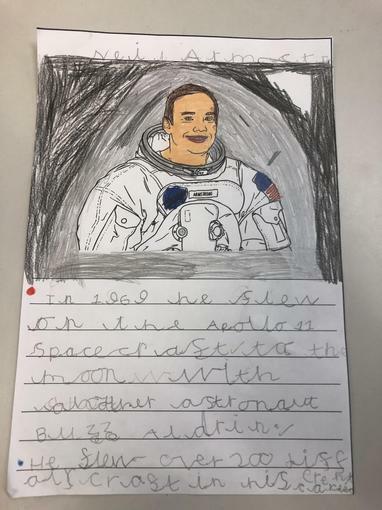 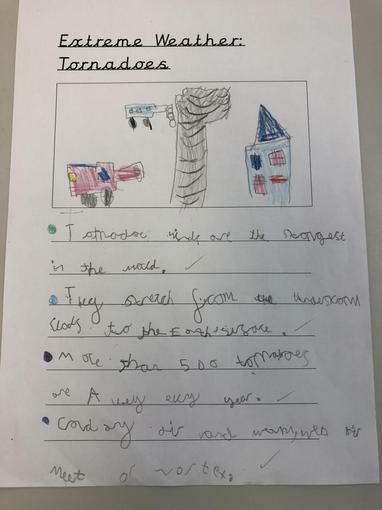 We then moved on our learning by using this new knowledge to help us write a newspaper report documenting the moon landing in 1969!